We all were there when Oprah screamed to the audience about this amazing skincare invention called a Clarisonic. We all wanted it but even with her stamp of approval there was skepticism in my head because of the price tag. I didn't know anyone personally who had tried a Clarisonic system so as always I was the guinea pig. Let me know be that personal friend to you and fill you in on my results. After the first use I felt a dramatic difference in my skin. 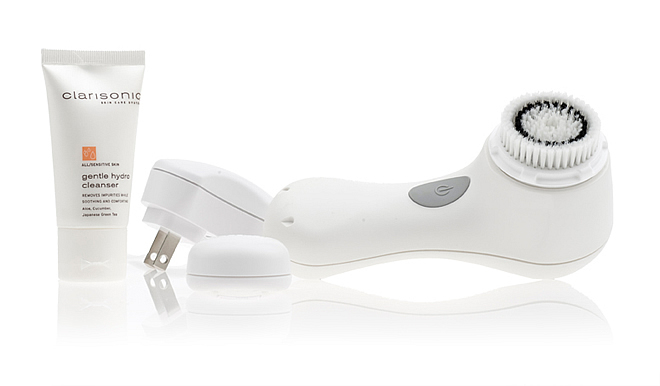 The Clarisonic Mia is gentle but strong enough to stray all dead skin from your face. I have been blessed with great skin and with so I have admittedly become lazy with taking care of it. TheClarisonic Mia cleans my skin so thorougly that when I am in bed after a whole day and haven't cleansed, I can feel the dirt. When you have a cleansing system that reminds you to clean, that is one you want. Like and/or follow Clarisonic on facebook and twitter. Like and/or follow Just B on facebook or twitter. Leave a comment to be eligible with one entry cmommenting that you are fans and followers of Just B and Clarisonic! The winner will be announced Wednesday, October 19th. This is a sponsored post. All opinions are 100% Just B.
Congratulations! Send me an e-mail today to justbblog(at)gmail(dot)com with your shipping information and you'll get your new Clarisonic mia! Thank you for Clarisonic for hosting this giveaway! I've heard nothing but amazing things about this product! I follow Just B and Clarisonic on Twitter! i 'like' both just b and clarisonic on facebook. such a great product! Follower! Hope I am the lucky one!! Liked and followed Clarisonic and Just B! I have wanted to try this product for so long- here's hoping! 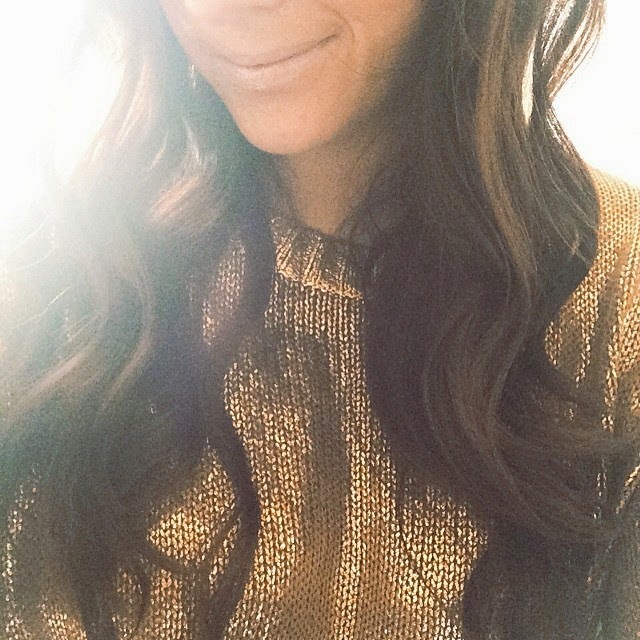 I'm following Just B and Clarisonic on Facebook and Twitter! I've been having issues with my skin lately and I think this would be great to try! I need to try something, right?! I'm following Clarisonic and Just B on facebook and twitter! Ooh I've been wanting to try the Mia! Thanks for the giveaway B! I have been dying for a Clarisonic for ages but haven't been able to fund that purchase! I follow/like Clarisonic and Just B on both Twitter and Facebook. I'm following both! Just B and Clarisonic! I've heard nothing but good reviews about this wonder machine. Following you on FB and now Clarisonic on Twitter. Following you on Twitter! Fingers crossed! I am a fan and twit follower! I'm following both of you on Twitter! great giveaway! YAY! I've so wanted one of these! I liked both on Facebook! I've been eyeing up the Clarisonic for forever! I liked and followed Just B and Clarisonic on Fb/Twitter. Following both you and Clarisonic on Twiter & FB! Merci boucoup for the giveaway B! I "like" both Clarisonic and Just B on facebook! following you on twitter. I've been looking at this product for ages, glad to hear it works so well! I love Just B's DIY ideas! I've tried some and they're terrific! I love the DIY accessories. I really like the Clarisonic, but can't afford it at the moment. It's no fun being an unemployed college grad. I followed Just B and Clarisonic on twitter. Fingers crossed! :) I liked Just B and Clairsonic on Facebook! following just b on twitter and liked/follow clarisonic too! thanks for the great giveaway! Just liked both on fb... I have been wanting one of these for at least 2 years now...just had I think was a bad reaction to some skin moisturizers and am still battling some clogged pores ...I have minimized my skincare routine to bare bones now but I still need a solution for exfoliating. Hoping this is the answer! Following you both on Facebook & Twitter! I've been wondering if this product would live up to the hype and I'm finally a believer after your review. Thanks! I'm following both Just B and Clarisonic on facebook and on twitter. I 'like' both Just B and Clarisonic on facebook. Thank you for this great giveaway! Ooh I've been wanting to try this product for a long time! Fingers crossed :) I'm a fan and follower of Just B and Clarisonic!